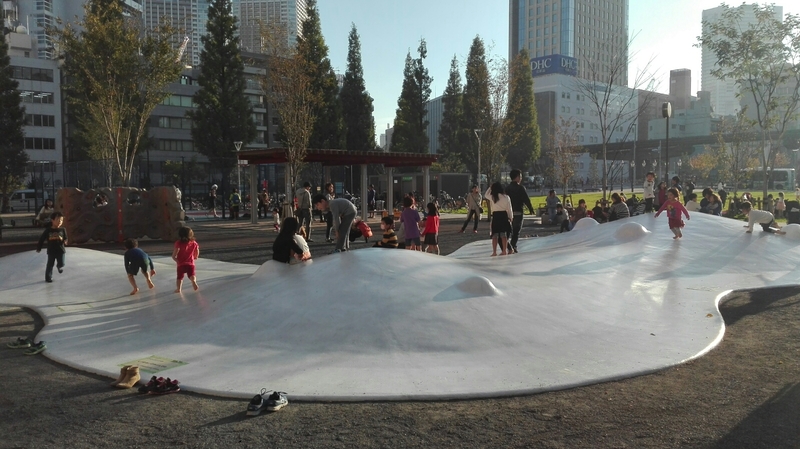 Minato Park Shibaura is the biggest public complex facility in the district that containes a well equipped sports center,library and a nice play ground. Kids have so much fun at a play ground where you can watch monorail going through. Want to get connected to Japan local families?